Casino Sports book: Wood floors and wood furnishings, very elegant. All modern, high tech betting and viewing. Most impressive in downtown. All the popular Slots, Video Poker, Live keno(8 seats), Keno machines, Penny slots, Baccarat, Black Jack(single deck tables), 3 card Poker, Poker Room(14 Tables), Pai Gow poker, Roulette, Craps, Progressive Slots. 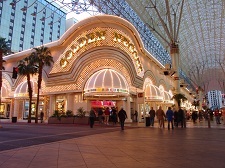 Unique to This Casino: Class of Downtown. 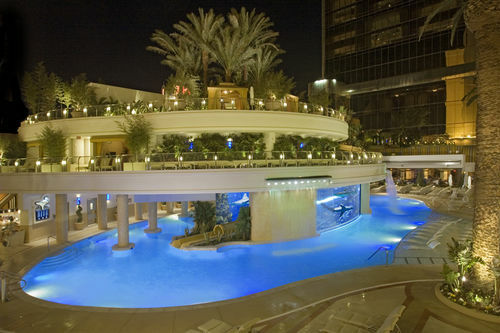 Play Black Jack poolside at the Shark Tank, a must do if you make it downtown. 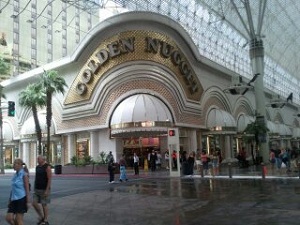 Golden Nugget Overall Atmosphere: Incredible Casino. 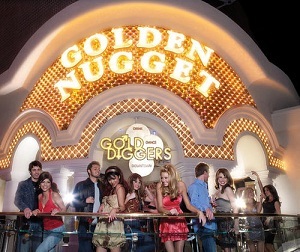 The Poker Room was very lively unlike most that have a library atmosphere, the bars are very modern and elegant. The sports book is a must see even if you don’t want to bet.